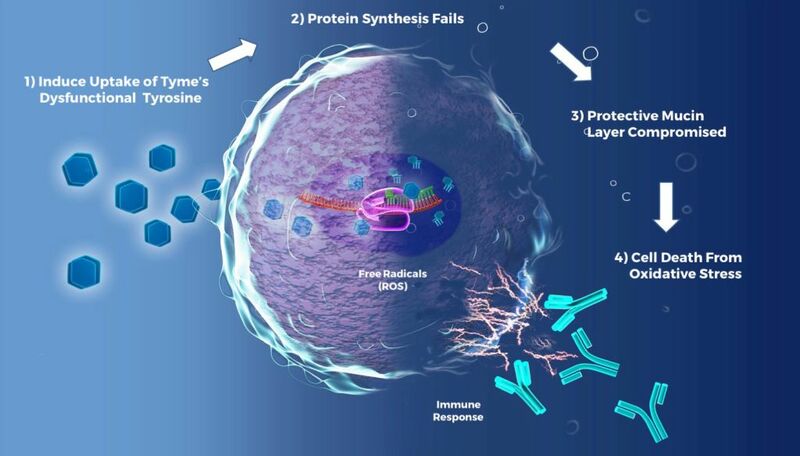 SM-88 used with MPS is Designed to Target Only Active Cancer Cells. Chemotherapy compounds are generally designed to interfere with cell division of rapidly reproducing cells, however not selective to cancer cells. This leads to toxicity of many tissues including hair, epithelial cells of the skin, gastrointestinal track, and other cells like long-nerves that serve the extremities (arms and legs) and can be affected leading to neuropathy. Even “targeted therapies” that are designed to inhibit pathways heavily utilized by cancers for progression and survival, commonly have inhibitory effects on “normal” pathways leading to off-target side effects. SM-88 used with MPS is designed around a fundamental cancer-specific metabolite altered to not be functional for protein synthesis. Because it is broadly recognized that normal cells do not regularly take up certain non-essential amino acids, specifically tyrosine, normal healthy cells are not expected to consume our tyrosine agent. In the initial >100 patients treated with SM-88 there were no reported drug-related serious adverse events (“SAE”). We believe SM-88 used with MPS’s mechanism of action (“MOA”) can be broadly effective across different cancer types because multiple cancer types have been documented in the medical literature to express the uptake channels for non-essential amino acids including tyrosine (L-amino acid transporter-1, or LAT-1). 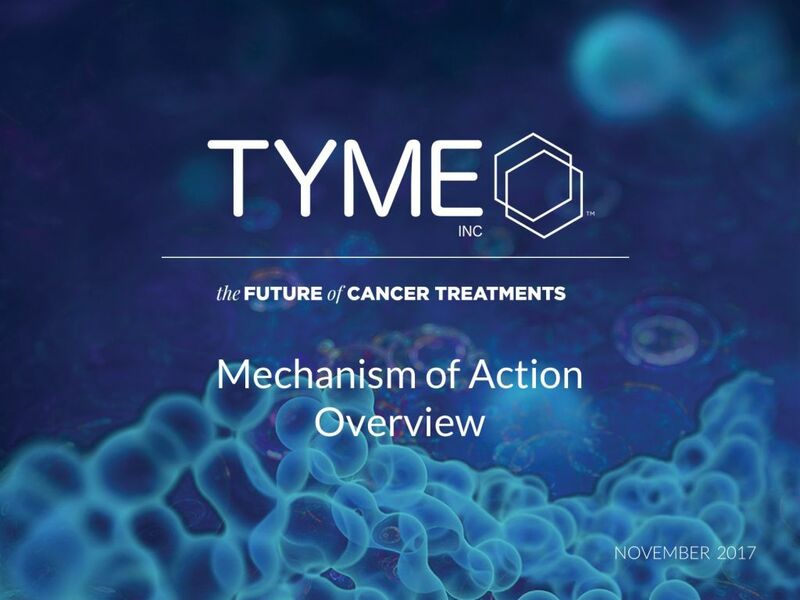 When taken up by a cancer cell, we believe, our proprietary dysfunctional tyrosine, interrupts protein synthesis, reduces key cellular defenses, and ultimately leads to an oxidative stress-related apoptosis or cell death. Broadly effective across different cancer types and genetic subtypes. Highly specific with the observation of a high level of clinical benefit and relatively low reported drug-related side effect. Documented monotherapy activity across a range of both solid and hematological cancers. Differentiated mechanism of action (MOA) that could potentially be combined with existing therapies. Leverages fundamental metabolic properties of cancers, which could create a higher hurdle for resistance to occur.